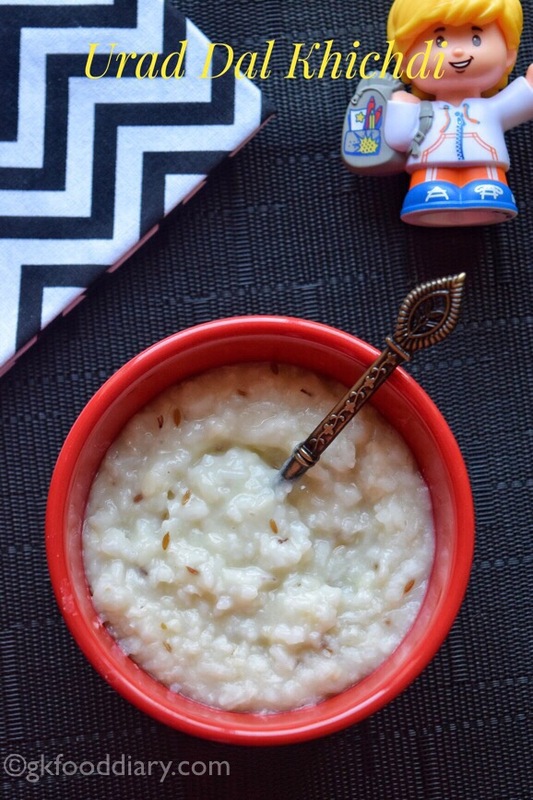 Urad Dal Khichdi/ Gram Dal Khichdi/Ulundhu Khichdi: Easy and quick lunch recipe for babies and toddlers made with rice and urad dal/gram dal. Urad dal is a healthy lentil which helps in weight gain in babies and kids. 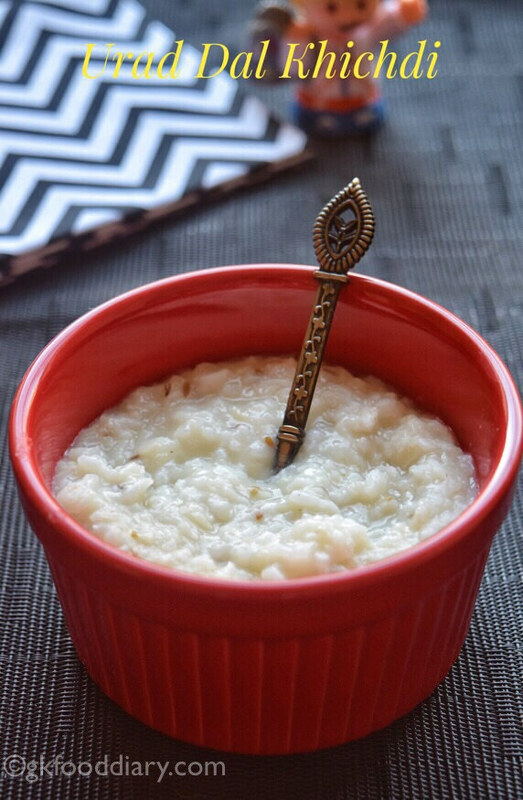 I have already shared a version of urad dal rice. This urad dal khichdi recipe is more easy with fewer ingredients & less quantity; you can make for your baby or toddler alone. 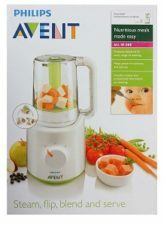 Its ideal for babies from 8 months after introducing rice, and urad dal separately. 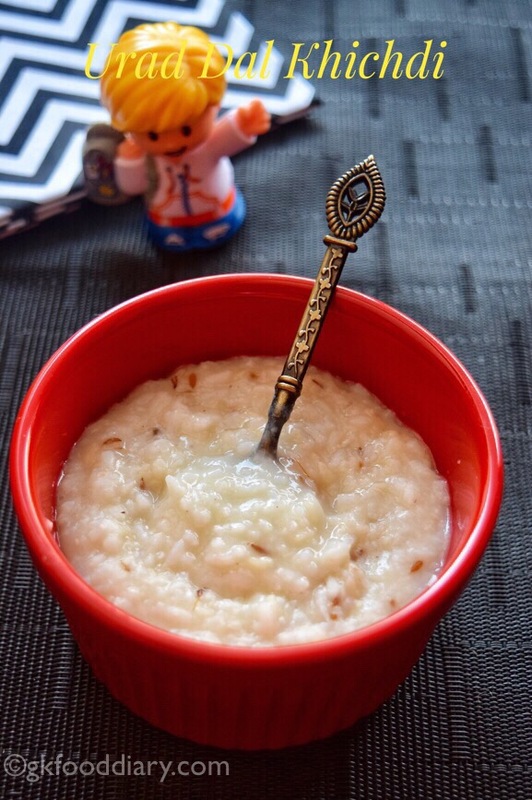 Here is how to make an easy urad dal khichdi recipe for babies and toddlers. Urad Dal Khichdi - A quick lunch made with rice and urad dal. Healthy weight gain food for babies and toddlers. 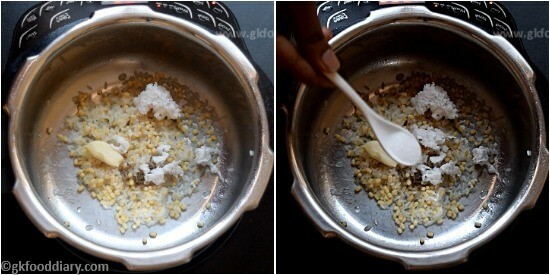 Wash rice and urad dal together and soak it in warm water for 30 minutes to one hour. 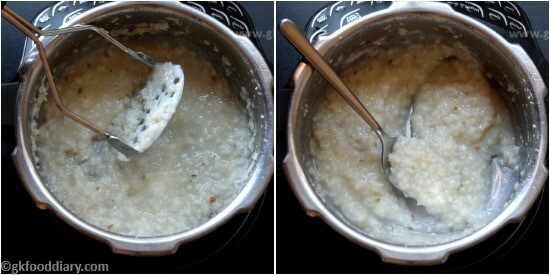 Then in a pressure cooker add the soaked rice and urad dal after draining the water. Then add cumin seeds followed by garlic. Now add grated coconut(optional) and salt (for babies above one year). Once the pressure releases, open the cooker, mash it well with a masher until soft. You can also grind in the blender if you prefer. 1. 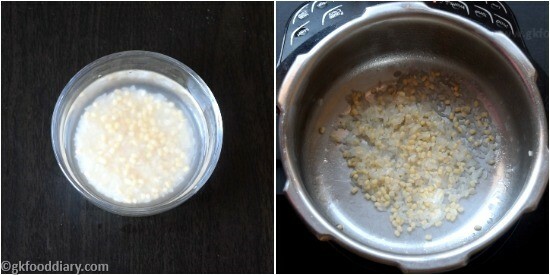 Wash rice and urad dal together and soak it in warm water for 30 minutes to one hour. 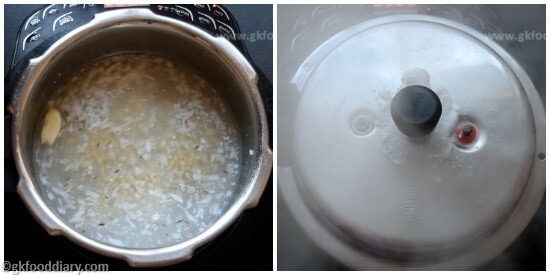 Then in a pressure cooker add the soaked rice and urad dal after draining the water. 2. 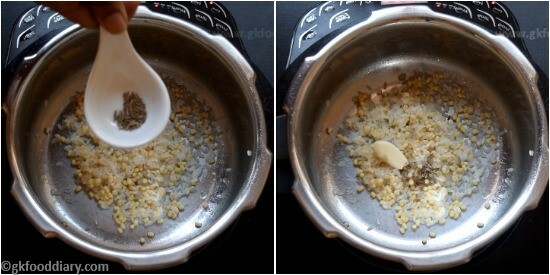 Then add cumin seeds followed by garlic. 3. Now add grated coconut(optional) and salt (for babies above one year). 5. Once the pressure releases, open the cooker, mash it well with a masher until soft. You can also grind in the blender if you prefer. Easy and quick urad dal khichdi is ready! Adding coconut is optional. But it gives a nice flavor and taste to the khichdi. Always serve urad dal khichdi warm. Otherwise, it will become dry. 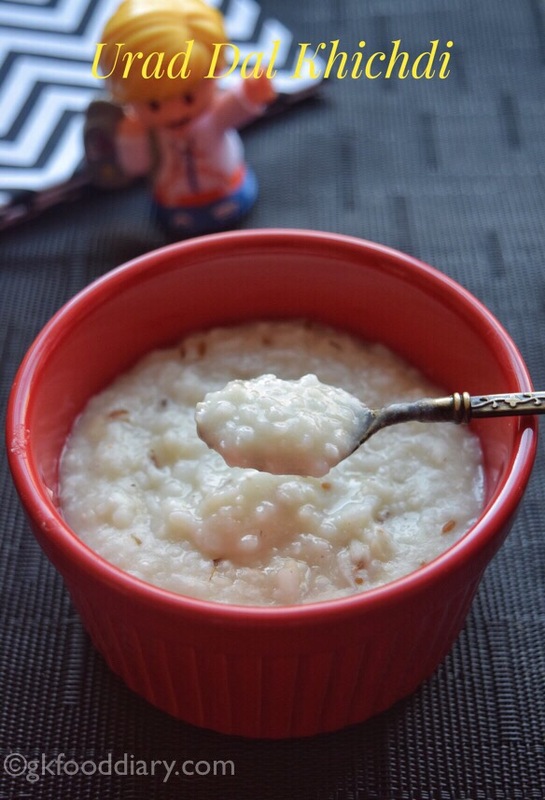 Any regular cooking rice can be used to prepare this khichdi.